What's The Buzz On Spanish Cuisine? 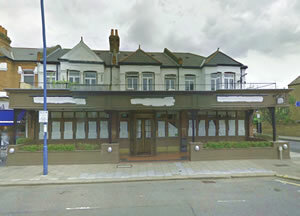 The currently vacant site on Putney Bridge Road has been acquired by the restaurant group celebrity chef Tom Aikens. The former site of Malcolm John's Fish and Grill is believed to have been identified as a 'Tom's Kitchen' style restaurant similar to the ones in Chelsea and Somerset House. The restaurant would be opened in September of this year if the plan proceeds. It is currently being stripped out by the group for refitting. Aikens became the youngest British chef at the age of 23 to claim two Michelin stars when working at Pied a Terre. His flagship restaurant in Chelsea - Tom Aiken's Restaurant - has been open since 2003. He has been no stranger to controversy in the past allegedly pulling a knife on a member of staff at one of his restaurants. In 2009 the company that owned his restaurants went into bankruptcy leaving suppliers with over £1 million of unpaid bills. Their loss was made all the more difficult to accept when the restaurants remained open under the ownership of a different company for which Aikens was acting as a consultant.